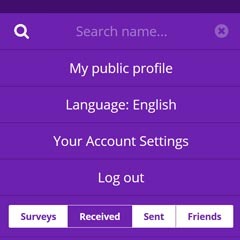 This section will walk you through the profile modification options and other options available in your Account settings menu such as profile image upload, email notification settings, social network connection and functionality of embedding your survey to any website using widget option. Let's start with profile picture modification. 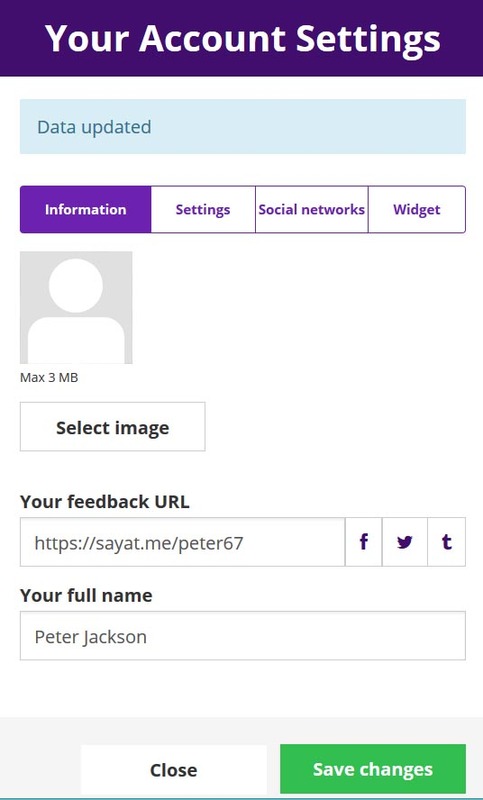 Click Select image and pick any image of you from your library and confirm. 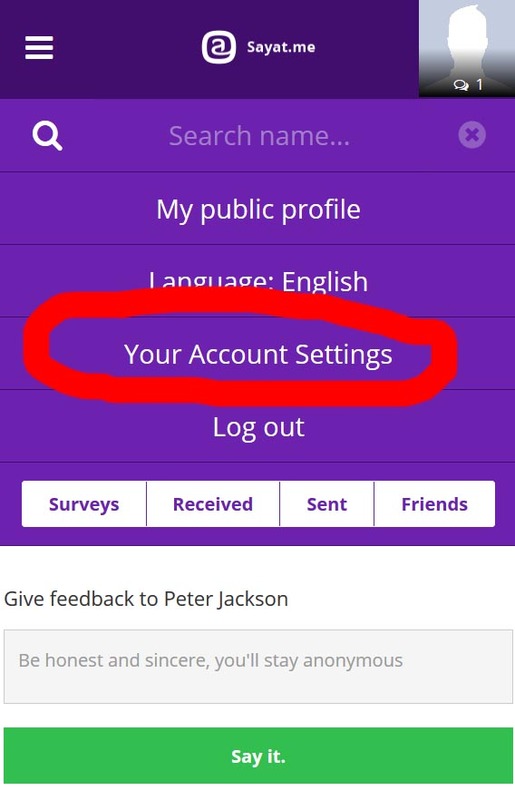 Once uploaded, click Save changes and your new Profile picture is confirmed. 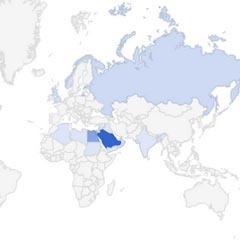 You will see the confirmation note "Data updated". 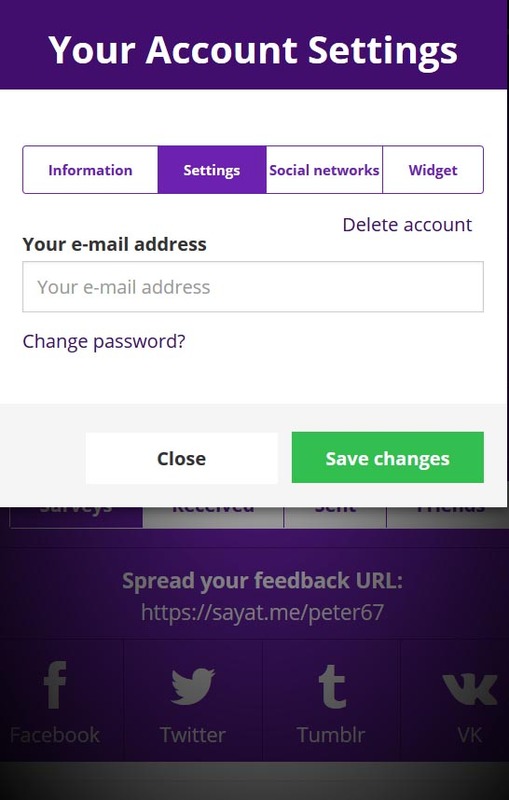 This menu also allows you to change you profile name (Your full name), but unfortunately you cannot change your feedback URL. 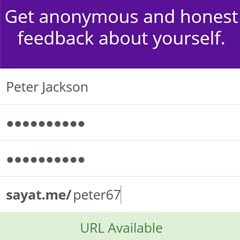 sayat.me also offers an option to Delete your account. 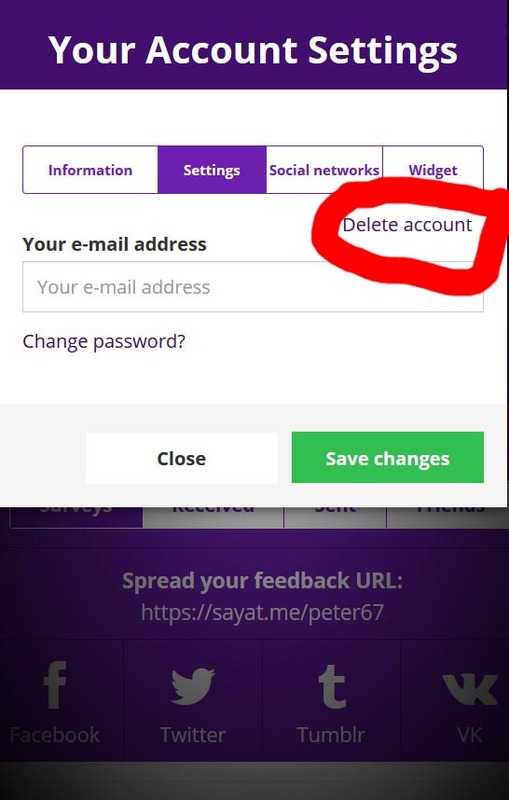 If for any reason you decide to cancel your account, just press that button as highlighted at the picture below. 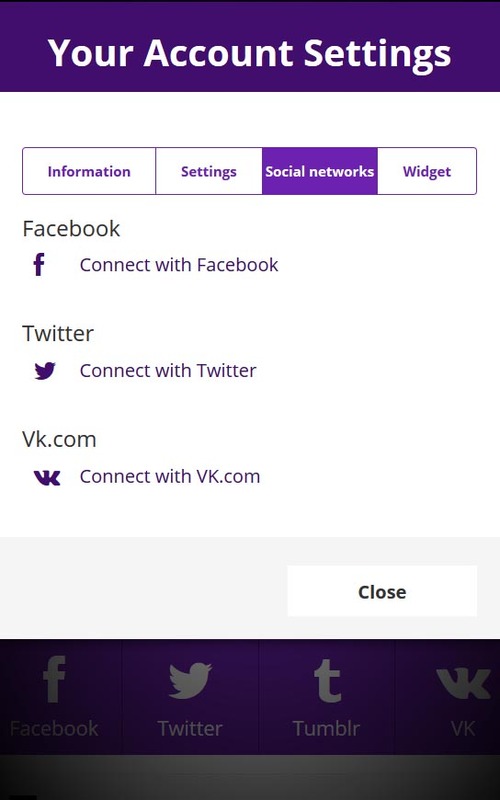 Option Social networks will allow you to connect your account with 3 major social networks: FB, Twitter and VK. 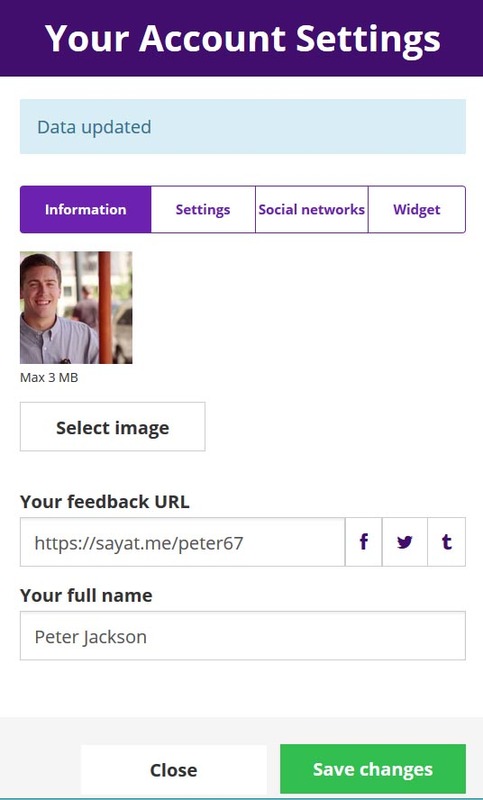 This last option in your Account settings will allows you to iframe (insert/embed) your survey to any website you own or operate. 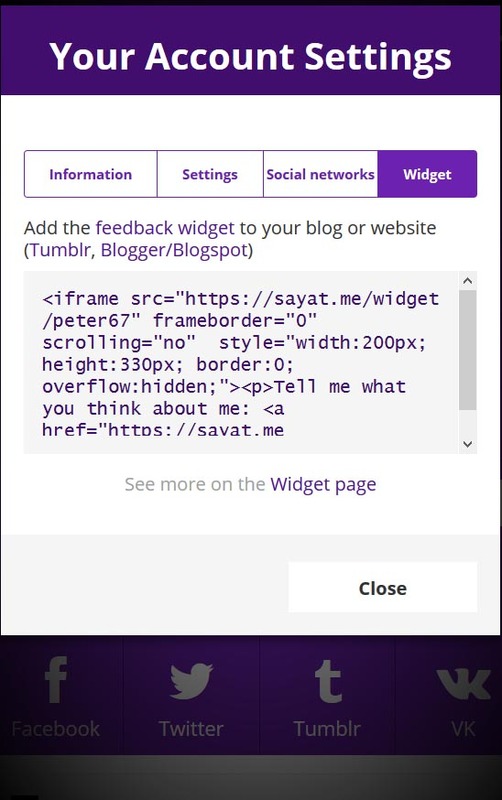 It will generate a code (feedback widget) for you. 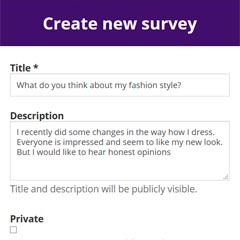 This code will render your survey on any website where you paste it. You can see example here.